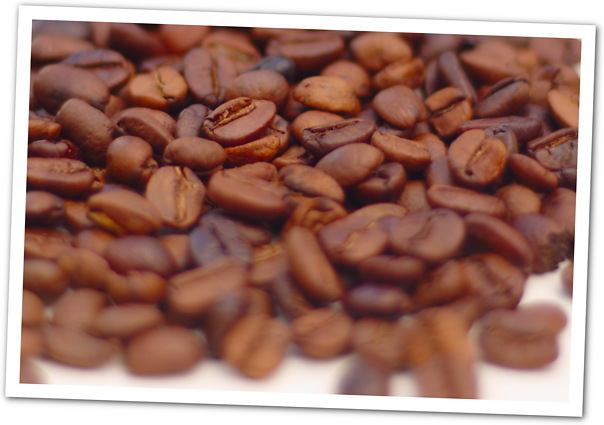 Coffee from Ciales roasted to what is known as a city roast. Pulled some nice oils this time. Processed to look like a digital painting. These images digitized to look like paintings make a nice series, I think. 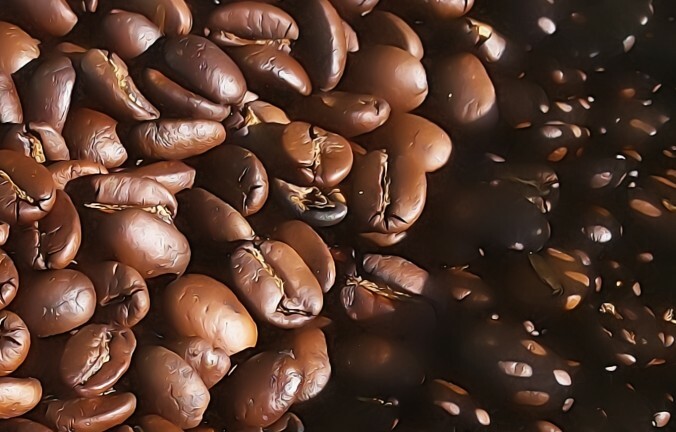 From harvest, to fruit, to roast, I can get a bit of distance from the difficulties of everyday life and appreciate these abstract and idealized qualities of culture, tradition, hard work, and the gusto that go into a delicious cup of coffee. It’s a bit of homage for the hard working farmers and roasters. 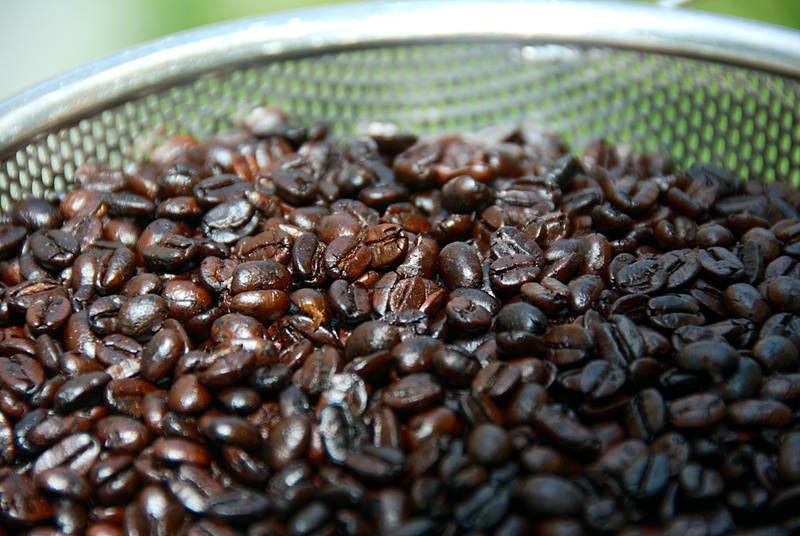 Commercial coffee production is hard and doesn’t pay well. Anyone who does it here in Puerto Rico will tell you they don’t do if for the money. Life is hard, money is tight, but they continue to toil in the hot sun because it is a cultural treasure y vale la pena. 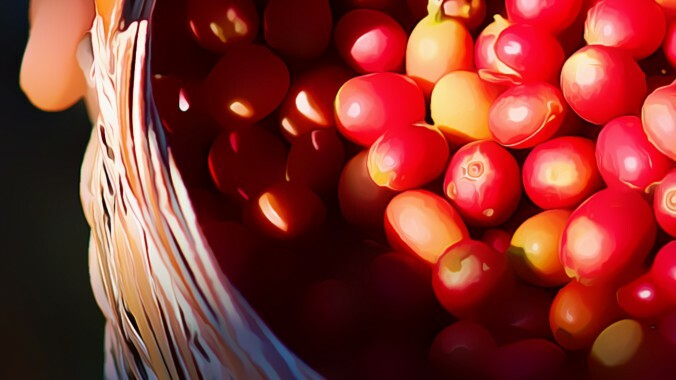 Ripe coffee cherries harvested from the highlands of Ciales Puerto Rico in October of 2013. Pickers chatted among themselves, flirting and wandering and teasing their way through the rows, placing ripe cherries in their baskets. Soon there was enough coffee and the day was growing hot. This is a photograph taken with a crappy smartphone and processed to look like a digital painting. 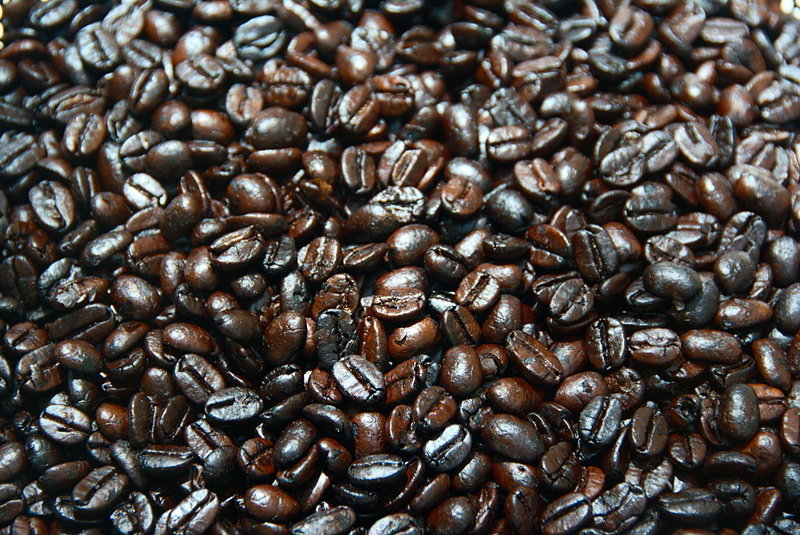 I roasted a nice batch of locally grown coffee beans. These were harvested in Ciales, Puerto Rico just this past month. I normally roast two pounds worth. Roasting coffee is like toasting marshmallows. The line between perfection and burned to a crisp is thin indeed. I was particularly proud of this batch. Did a little coffee tasting with Laura this morning. 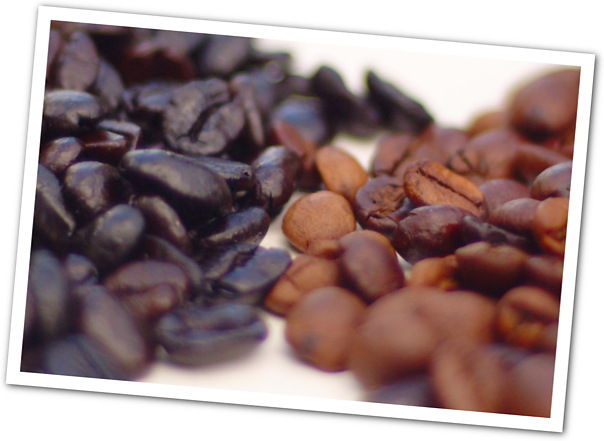 I compared three different roasts of varying darkness and one store bought one. It was a mixed bag. The store bought roast, Café Mami en grano (whole bean) was actually pretty good. One of my roasts was burned. The lighter roast was fruity, but thin bodied. The final, the most recent batch, was chocolaty with a hint of fruit with a nice round body. I preferred it, but Laura actually picked the Café Mami store bought roast. I don’t know if I was swayed because I knew which was which. I trust her palette. Back to the drawing board. 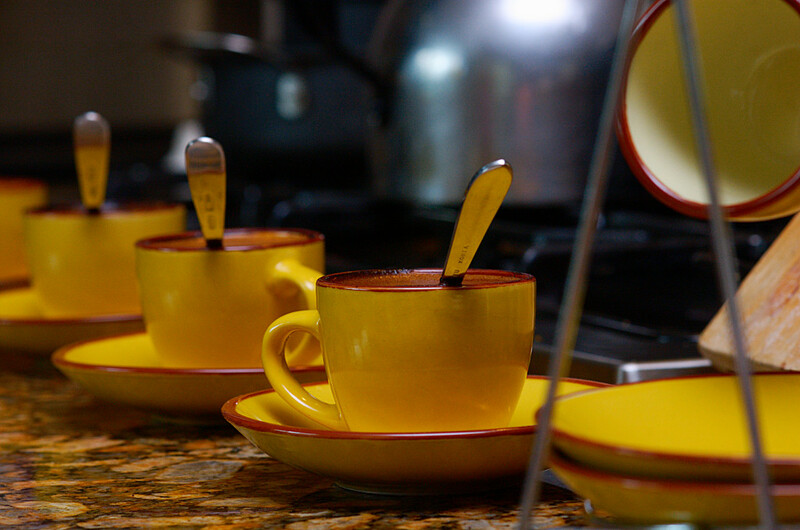 Each demitasse cup had a tablespoon of grounds, over which I poured the just off the boil water and let it sit until the coffee was barely warm. I find that you get a the best sense of the coffee after you let it sit to almost room temperature. 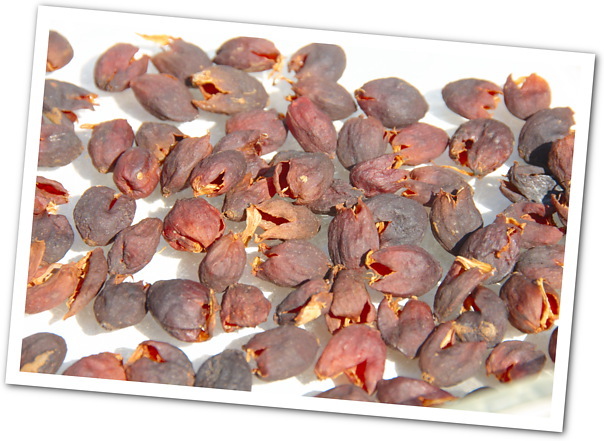 I sun dried these coffee cherries after pitting them. The cherry eaten raw is sweet and fibrous. After tasting the raw fruit I was convinced that it would make a decent cherry pie, which you will see in the next post. The farmers told me I was crazy and urged me to make tea from at least some of them. I was happy to oblige. I decided I did not want to toast the dried cherries, and instead made a green tea from them. Delicious. 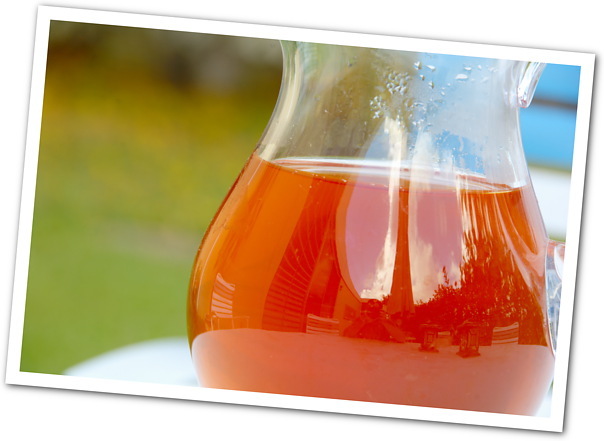 Although there were no overpowering flavors, it made a delightful breakfast tea, said Laura. And it definitely had caffeine. We were buzzing on it afterward. Beware. 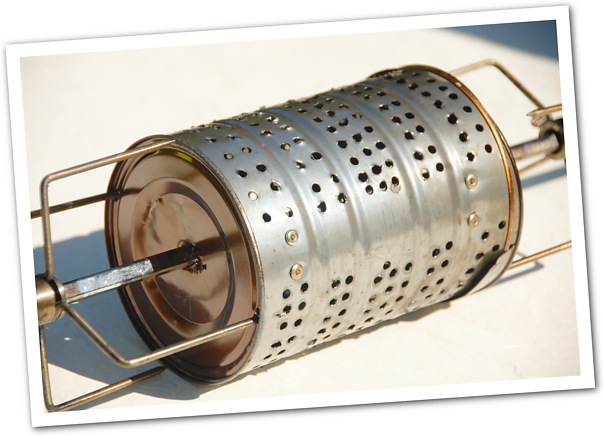 Here is my humble drum roaster for roasting coffee. It’s a steel can that I re-purposed by cutting, shaping, drilling, and riveting. It’s ugly, but I can say it works. Check out my coffee below. In order to calibrate my roast, I put 2 and a half cups of fresh café oro (green unroasted coffee) and set the clock for 20 minutes at more or less 450 to 500 degrees F. There was furious cracking at the end of the time, and I quickly extracted the beans and cooled them by tossing them between two metal colanders. This also removes the chaff, which is a thin skin that surrounds the bean and flakes off during roasting. Usually, I don’t like my coffee so dark, but surprisingly it was delicious, full bodied, fresh, with a hint of smokiness. I expected it to be burnt tasting, but it was fabulous black, smooth, flavorful. The next batch, I put in just 2 cups of café oro and set it for 17 minutes. By color alone, this batch came out more like what you find in the supermarket, a nice medium brown roast. Again, I cooled it, removed the chaff, and ground that sucker up to brew. This one tasted different. I’m no expert in all the adjectives, but it seemed like I could taste more of the coffee bean this time and less of the roast. The flavor was fuller but still smooth and drinkable. There was no hint of smokiness. It was equally fabulous, but different. Side by side comparison of the color. Next batch, I’m going for 18 and a half minutes. 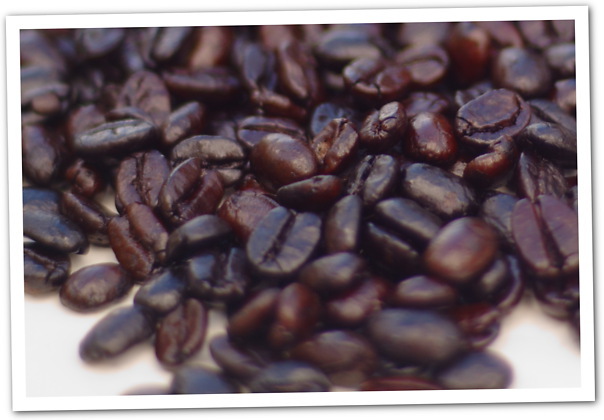 Upcoming – next post on how the coffee cherry tea came out. I discovered this a while ago, but I wanted to share my technique. 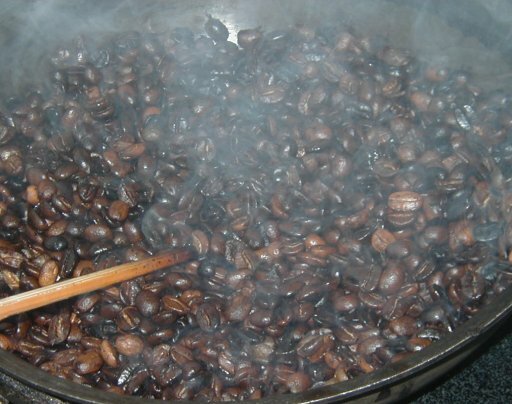 It all started the first time I roasted coffee in a frying pan. My frying pan happens to be of the anodized aluminum variety ala Calphalon. It’s a great pan, but its biggest drawback is stick-age. You cannot fry an egg without Pam or copious quantities of oil. Seasoning as per the manufacturer’s instructions? Bah! I’m a guy. I never read instructions. But I found a truly great non-stick coating that is slicker than Teflon or Silverstone, better than Pam and is persistent: coffee bean oil. 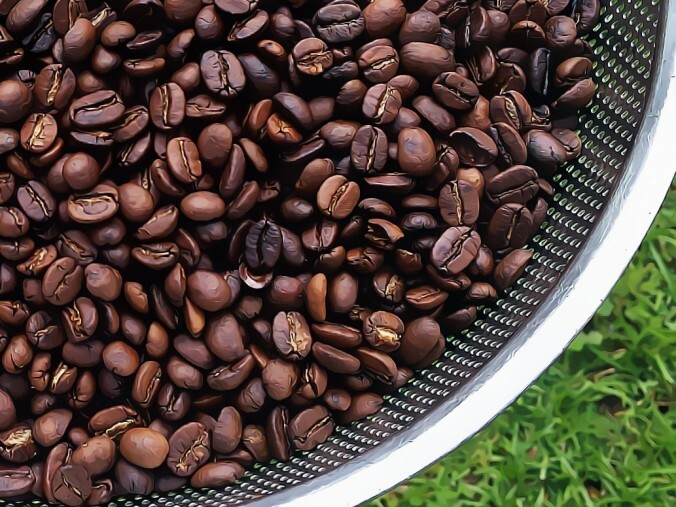 Roast raw coffee beans (green coffee beans) on a medium to high heat with fifteen minutes of constant agitation or stirring. The result: the best coffee you will ever drink and your pan now has a beautiful persistent sheen of oil that seems to form a nice molecular bond with the pan. I haven’t tried it with cast iron, but I would imagine it would work the same. Now, I can make wafer thin french omelets and flip them with impunity. To preserve my Coffee Bean Non-Stick CoatingTM I use the Chinese wok cleaning method, water and some sort of gentle scraper, no soap, rinse, and dry. The pan does not retain any residue from whatever I cook in it and all the stuck-on stuff sloughs off easily. If we do Puerto Rican rice dishes, the pega’o or stuck stuff on the bottom, is the crunchiest most wonderful part of the dish, all thanks to roasting coffee como un campesino. So far, for me, this method far outstrips all other seasoning tips that come from various sources.